Normally on Monday’s I try to post a recipe for a smoothie, but since Thanksgiving is on Thursday, I thought I would share with you a holiday drink instead. After all what are the holidays without a cocktail or two? And with my cocktail you can have two and not worry about guilt! You have to love that!! 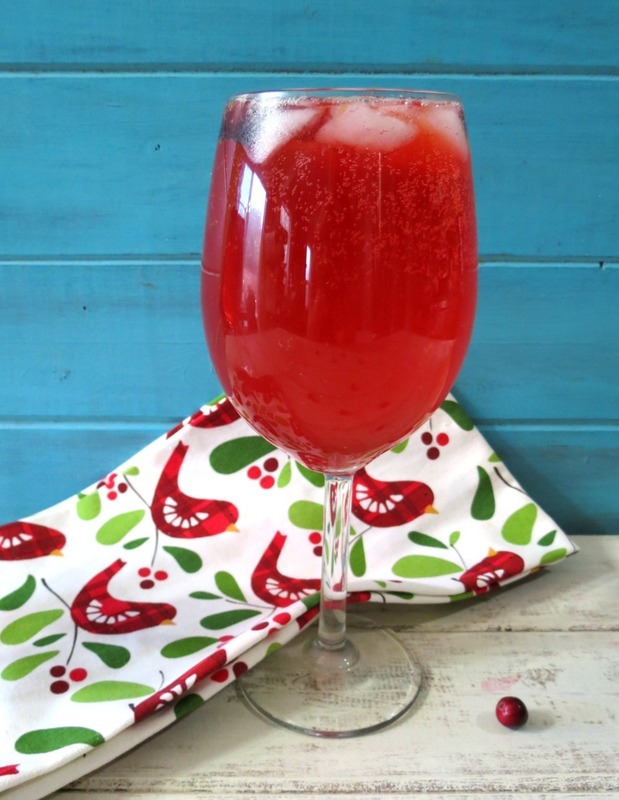 My Cranberry Orange Spritzer is light, bubbly, full of flavor and you can even make it non-alcoholic for the kids or yourself! 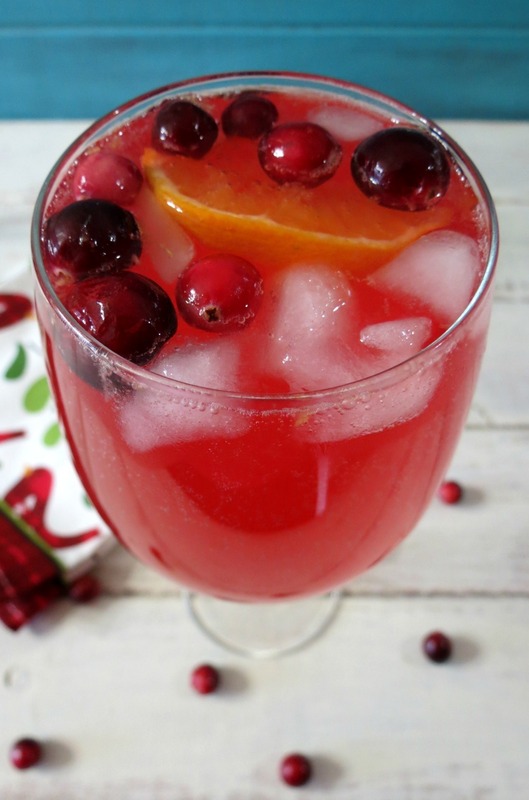 It’s made with champagne (omit for kids) Cranberry Juice, freshly squeezed oranges, stevia and club soda. The drink is so easy to make and get this, only 53 calories a glass. Woohoo! Hey I guess you can have more than two. But just remember, don’t over do it because theiris alcohol in it. To make this drink low-calorie, I used Ocean Spray Diet Cranberry Juice. It’s only 5 calories for 8 oz. I love Ocean Sprays Diet line, so many fun flavors and no guilt! Also I added club soda to give it more bubbles then the champagne, and after all we like more bubbles. The cranberry juice can be a tad tart so I added a dash of stevia in it to sweetened it up. You can use your own preference to how much sugar you want to add. 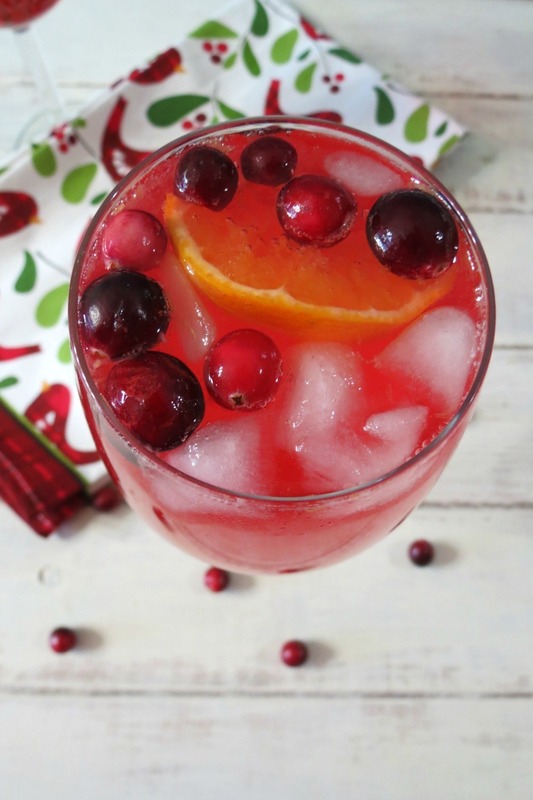 A light, bubbly, low calorie, festive holiday drink made with cranberry juice, orange juice, champagne, club soda and topped with fresh cranberries and an orange slice. 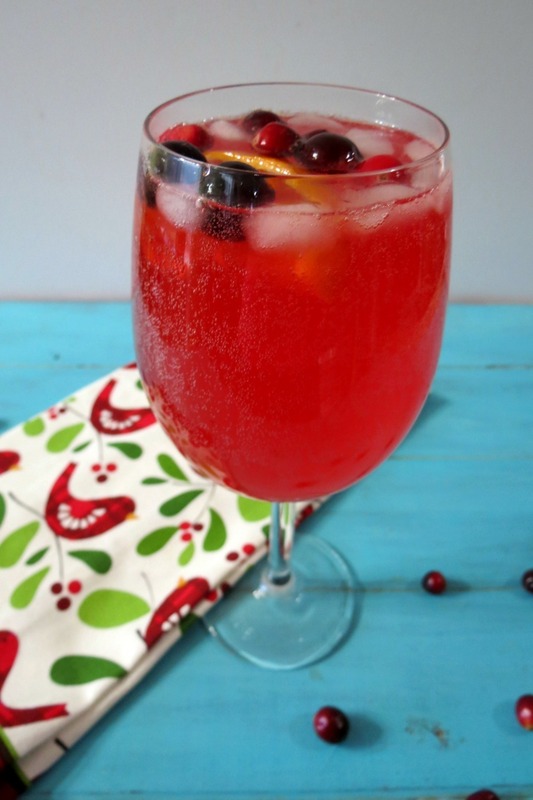 In a chilled 8 oz glass add ice cubes, champagne, cranberry juice, orange juice, stevia and top with club soda. Garnish with an orange slice and fresh cranberries. To make non-alcoholic, omit the champagne and add more club soda. I thought I would give you Guys a little update on my dairy free-living. I have done pretty good staying away from dairy. Remember the first week I lost 6lbs? Well I gained 3 back. Sigh… But I discovered some things. One, soy milk makes me sick, and I mean sick! I had heartburn, pain in the stomach, gassy and just plain, OMG I”m going to die pain. I had this for about a week. Nothing would work to get rid of it! I tried tums and gasx and still nothing. I figured out it must be the soy milk and sure enough the pain, bloated and bubbly stomach ache went away when I stopped drinking soy. I did go to my doctors this week, and she told me stay away from soy milk. The body can’t digest it and it is also known to cause breast cancer and other side effects. She also had me take a blood test to see if I had Celiac. I don’t think I do, I get the results next week. She also had me make an appointment to see a gastrologist to see if I am indeed lactose intolerant and if there could be something else causing my stomach issues. That appointment isn’t until December. In the meantime she told me to stay away from soy milk and dairy, so that I will. I’ll keep you updated. She said if all else fails she is sending me to a nutritionist. Well that’s it for me today. Going to practice making pie today. I LOVE that you did a cocktail! 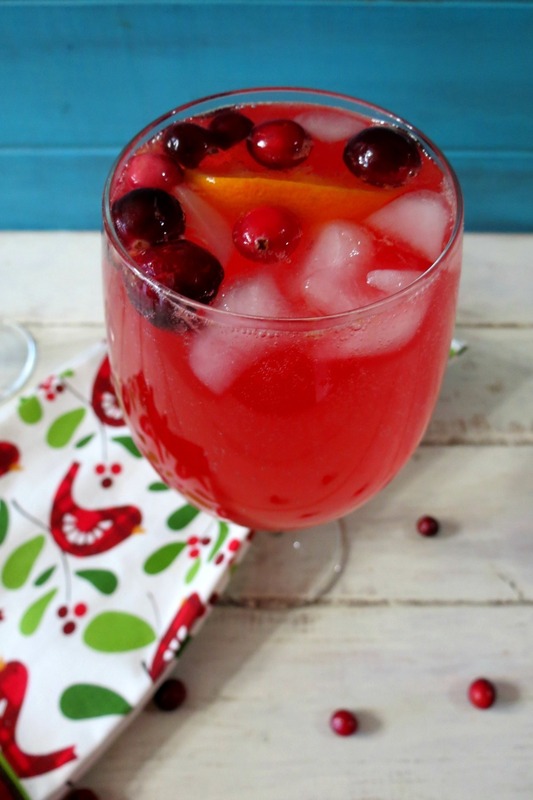 It is soooo refreshing too and perfect for the holidays! Thanks Sophia! 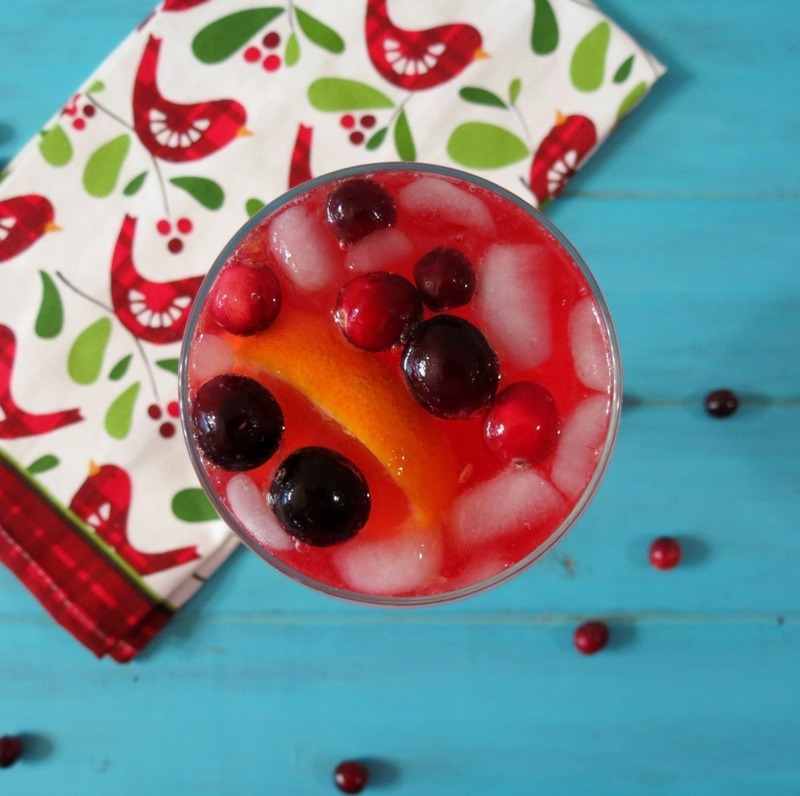 I love a good cocktail every once in a while and this one is so refreshing and festive! This looks so festive! I am going to try it during the Thanksgiving holiday. Have you tried almond milk? I buy the unsweetened vanilla & use it to make shakes. I am going to try almond milk and see how I like it. Thank you so much for the suggestion. I also recommend unsweetened original (plain) or vanilla almond milk. That’s all we drink in our family and I totally love it. I use it for everything (alfredo sauce, baking, any recipe that uses milk, etc.) and haven’t had any issues with it not working as expected. This looks so refreshing!! I love spritzers of any kind! Thank you Stephanie! Me too! !